the Family Pledge includes all of these. Advent will literally come on the clouds. Father, who moves this earth! Please forgive the sorrowful sin of history, which must be indemnified. Although countless people praised You, sad history has passed for six thousand years without fulfilling Your will. When we think who is responsible for all this, we cannot lift our heads. However, we ask You to have sympathy on our poor hearts and please preside over us personally. We now kneel in Your presence with disheveled minds and bodies. Loving Father, please subjugate this hour, for we know You should be our sole owner. You are the only one who can see through all our situations. Humankind has struggled to search for You in the course of history, yet none attended and lived with You on the earth. Is there anyone piece of land that belongs to You? Is there any one family that is Yours? Any one people? Any one nation? Nothing on this earth is claimed as Yours. We dare to understand Your sorrowful heart. We know Your sorrow is that You cannot stand as the owner of this earth even though You are the actual owner, and that You cannot take the authority over this land, even though You should do so. You worked without being able to take responsibility for humankind on the earth even though You should do so. You were in the position to directly subjugate and command us throughout our hearts, yet You could not do so. You should rejoice over us as the fruits of goodness, yet You could not find any one person, any one day. We did not know in what a sorrowful situation You were involved. Please permit us to be Your sons and daughters who can be connected to Your sorrowful heart even if we have to lose everything on this earth at this moment. We sincerely desire to feel Your situation and difficulty from the standpoint of Your real children, to shed tears when You shed tears, and to experience hardships when You experience hardships. Father, You toiled for a long time to find and to establish such a person, yet You have not met the central figure who can represent humanity, heaven and the heavenly law. We know that in the midst of all this, You formed the Israelites through a long historical process and sent the substantial Messiah who represents You and who works centering on Your heart to this earth. The Israelites, however, did not attend the Messiah and did not live together with him; as a result, they have wandered throughout the world. Today, as we face the last days, we are expecting the day of the Lord’s Second Coming. We know that you are searching for one who feels heartache when You feel sadness, one who fights with You, knowing Your situation; one who sings together with You representing Heaven’s joy. Father, there are countless people living on this earth, yet they have not recognized the one person who will represent the future together with history and the age. Please forgive them at this time. anity. Two parents have emerged. tiful woman dressed in brilliant colors. God’s dispensation is not only looking for new individuals. He must find a new family, a new people, a new world, and ultimately the Kingdom of Heaven. Jesus was unable to leave the value and standard of his heavenly character or personality as a new being on this earth. Therefore, he left behind the term “bridegroom and bride” as he left. God’s will is to establish a heavenly individual to find a family. Having that family as a model, He is to find a people; having that people as a model, He is to find a nation; having that nation as a model, He is to find the world, restore heaven and earth, and ultimately build the Kingdom of Heaven. No matter how we are attacked, we can be resurrected if we have the standard upon which God will take responsibility for us. Jesus was able to be resurrected after the attacks of countless satans, for he had such a standard. His authority of life, ideology and love was connected to God’s heart. For that reason, Jesus’ substance was able to be resurrected. If we have that kind of heart, who can attack the power of my life, my ideology, and my love? As long as God is with us, we have the authority to be resurrected after countless beatings from Satan, even after countless deaths. We should realize that we can be recognized as a new self with a new standard, a citizen of the Kingdom of heaven and a heavenly family, only when we stand on the judgment altar with that authority. Richard: The ideology and teaching of Rev. Moon, the Exposition of the Divine Principle (https://tparents.org/Library/Unification/Books/DP06/0-Toc.htm) and The Eight Great Textbooks of Holy Scripture: (http://visionroot.org/resources/the-eight-books-of-holy-scripture/) are the fulfillment of the teaching of Jesus. beloved children attain the ideal of love. Jesus was born on this earth as a totally new being in human history. However, he lived a miserable life. For whom did Jesus live? He did not live for himself. It was not because he did not have pride. Although he was persecuted, he had within himself the power of life and ideology and the power of intense love. We should know that he lived without fully spreading his authority of life, ideology and love. For whom did Jesus live? He lived for his miserable people. The resurrected Jesus has toiled until today to resurrect our dead existence by his living substance. That has been the historical course of the two thousand years since his death. For whom did he live his thirty odd years? It was not for himself but for God and fallen humanity. For that matter, for who did God toil? God has never lived for Himself. He lived to save the people who had died because of the fall. What kind of days are the last days? Since Jesus did not live for himself, humanity has to offer a time when Jesus can live for himself. Since God also has not lived for Himself, humanity also has to establish a time when God can live for Himself. The last days are such a time. God could not live for Himself until today because He had to save the dead people who had inherited the fallen lineage. 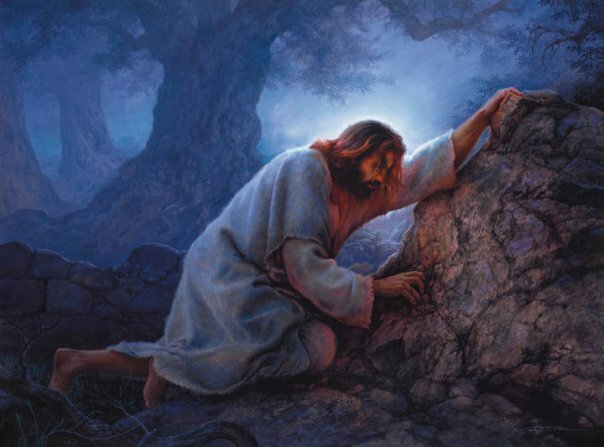 Jesus could not live for himself during the two-thousand-year history. Holding onto humanity in the realm of death, God has been working six thousand years to save them and to restore a new day. Why did Jesus come to this earth and for whom did he come? Representing God, Jesus came to this earth to make people walk the historical path with hearts that could connect to God’s heart and the heart of history. The Jewish people understood how to follow God’s history, but they were not able to follow God’s heart. They upheld God’s dispensation, yet they failed to uphold God’s heart. For that reason, Jesus came with the historical heart and God’s heart, moving behind the dispensation. Jesus came with the heart that substantially represented the four thousand years of history. The Israelites and the leaders of Judaism, however, did not know this. Searching for God means grasping the life that emanates from God’s heart, finding the ideology that comes through God’s heart, and searching for the love that comes from His heart. There cannot be life without going through God’s heart. There cannot be ideology without connecting to God’s heart. There cannot be love that does not come from God’s heart. For that reason, when Jesus came to this earth, he came as the owner for the four-thousand-year history in the realm of heart. Because his heart represented God’s heart, whatever came out of his heart had the power of life. His heart was the substantiation of the historical life, of the historical hope and ideology, and the historical love. Therefore, Jesus should have been regarded as more important than the people and nation of Israel and Judaism. The Israelites, however, killed this most significant Jesus. They were ignorant of the fact that they could have gained his heart and ideology for the nation, for God’s dispensation, and for the whole universe through this one person, Jesus. They killed Jesus, for they did not know. What will God bring when He comes again? Since we know that God is not going to destroy the world but will come again with a new ideology, what will He bring? He will come with the great power of life and the authority of a new ideology. He will come with the origin of love. Such a person is called “the Lord” in Christianity. We who have tread and walked the course of fallen history need the touch of life which is stronger and more permanent and eternal than anything we have enjoyed or experienced before. The place where we experience such a touch will be our eternal resting place, a place we would never want to leave. The three disciples who saw the transfiguration of Elijah, Moses and Jesus wanted to remain in that place. Have you attained and experienced the state of heart where you feel, “This is my eternal resting place, the place of eternal happiness. This is where there is no beginning and no end”? When one appears with the great power of life to which all creation will bow their heads, he will naturally become the master of all things. In his ideological world, all things and even God would want to rest and remain. When his loving emotional heart wells up, all things should want to harmonize with it. Even God should want to rejoice with it. There is such a loving emotional state. If these contents are not fulfilled in the last days of human history, then God’s dispensation will end in destruction. The whole dispensation of God for this world would become a total failure. God has been toiling until now, for He cannot allow such a conclusion. Therefore, we cannot deny that the garden of new life, new ideology, and new love will certainly come to humankind today. Richard: In other words, the Lord brings the New Truth (http://visionroot.org/resources/the-eight-books-of-holy-scripture/) when he comes. Richard: Urban Life Training has developed a practical program to carry this out in local schools; the Urban Life Training Chapter Program: http://teacher.urbanlifetraining.org/form-a-chapter/, which utilizes the Urban Family Life Training Web Portal: https://www.urbanlifetraining.org/index.php/online-teaching-portal. is the way to go, by the way of the law. flesh. It will be a judgment of substance. chestnut embedded inside the burr. Word will become your core. When we consider the course of history, numerous assertions of the past have changed as history progressed. As we face the last days today, democracy and communism are confronting each other and each is looking to dominate the other. Therefore, you should know that the time is coming when a new direction out of this battleground is to be discovered. God is hoping that humankind will become his new second self. For that reason, our conscience is searching for our new self, which is different from our present self. If we live conscientiously, we cannot deny this. Our conscience constantly feels, “Oh, things should not be like this. We should not live like this.” This shows that we realize this kind of society, this kind of world, must change. Accordingly, by the action of our conscience, we can find peace of mind, where we are moving toward our new selves and the new ideology without being consciously aware of it. Jesus came to complete God’s four thousand years of restorational history. What did he bring? He brought new life, a new ideology, and new love. If a certain heavenly fortune were to flow through your heart today, would you feel the vitality of life to join and move with that fortune? Do you feel the heart of the one central ideology which can move all being, all cosmic ideological existence? Do you feel the heart of love which can embrace and melt all existence? We do not. the families of the land of South Korea. by becoming one in love with a woman. organs were not made for themselves. My topic is “My New Self and the Heaven Where My New Self Can Dwell.” I will speak briefly upon this topic. Countless people live on this earth, yet no one can confidently say that he possesses Heaven in his mind. The ideal world which humankind has admired and sought is surely heaven. In this world, there are many who would wish to live well and be in a blessed position; however, those who can say “I lived well” and “I was blessed” are very few. When we look at this situation, we cannot deny that our life in this world is indeed not life in heaven, but it’s very opposite. I stand on such a border line; I stand in a position to search after Heaven. We cannot deny that we should seek out and live in such a place. Therefore, our mind searches for a better ideology, and our body seeks a better resting place. a family, centering on the love of God. understanding the term True Parents? 13 No one has gone up to heaven except the Son of Man, who came down from there. 14 And the Son of Man must be lifted up, just as that metal snake was lifted up by Moses in the desert. [b] 15 Then everyone who has faith in the Son of Man will have eternal life. As we persevere on the difficult path of life, we know well that we are immersed in a sorrowful situation. We know that many painful circumstances lie ahead of us. We know that we have not the heart which can sing in sheer happiness when we face Heavenly Father, this land, and humanity. Father! Please have mercy on us. We have been worn out by sorrow and hardships. We have struggled without even knowing in what direction to go. Please hold onto those of us who have wandered, not knowing on whom to lean. Father, we feel how wonderful and great is Your amazing grace, yet we are unable to return glory to You. Please forgive us. Father, You have suggested to us the path by which to avoid sorrow in this sorrowful world. However, we ask for Your forgiveness since we were inadequate in upholding Your predestined will. We know that You have prepared a path by which we may avoid hardships, even though we deserve a suffering course. We are so grateful. However, we ask for Your forgiveness since we were unable to walk that path. We now desire to live the rest of our lives according to Your will, for Your joy and glory only. Nevertheless, the power of death and the influence of sin in this world powerfully encircle us. You know how difficult it is to escape from them. Therefore, benevolent Father, please be present at this time. Father, please forgive us. We have not yet become people who return glory and joy to You from a liberated position. Please subjugate the power of darkness by spreading new power and Your mighty hand. Father, we sincerely hope that You will raise the history of re-creation in order that we may sing of the glory of resurrection as victorious people.